NEW BRITAIN - The New Britain Bees continue to add former big leaguers to bolster their roster for what they hope will lead to a second-half playoff berth. On Saturday, the team announced the signing of former Atlanta Braves right-hander Brandon Cunniff and Miami Marlins left-hander Chris Reed. 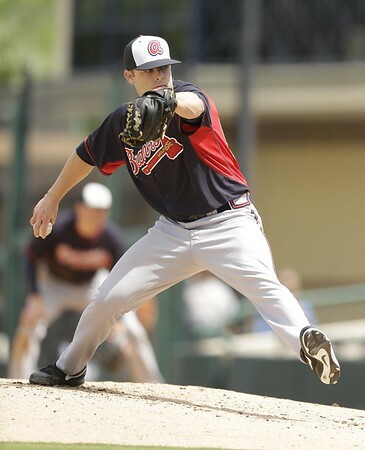 Cunniff began this season with Leon Braves of the Mexican League. In 16 appearances, he posted a 0-2 record and 5.17 ERA with 10 strikeouts in 15.2 innings pitched. Originally selected by the Florida Marlins in the 27th round of the 2010 MLB amateur draft, the 29-year-old spent one year with the Marlins before making his Independent League debut with River City of the Frontier League. Cunniff spent two more seasons in independent ball before being signed by the Braves in 2013 and making his Major League debut in 2015. He spent two seasons in the Majors with Atlanta, posting a 4-2 record with a 4.50 ERA and 53 strikeouts over the course of 52.0 innings pitched. Reed appeared in four minor league games for the Marlins organization between Single-A Greensboro and Double-A Jacksonville, where he posted an 1-1 record with a 1.29 ERA, before joining the Bees. The 28-year-old was originally selected by the Los Angeles Dodgers in the first round (16th overall) of the 2011 MLB amateur draft and spent five campaigns in the Dodgers organization before being traded to the Marlins in 2015, the same year he reached the big league club. The left-hander appeared in two games for the Marlins, collecting a 4.50 ERA in four innings pitched. Posted in New Britain Herald, New Britain Bees on Saturday, 14 July 2018 18:14. Updated: Saturday, 14 July 2018 18:16.